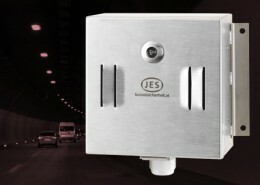 Visibility and gas monitoring are used to control the tunnel ventilation at normal operation. If and with how much power artificial ventilation by jet fans is operated depends on the measured visibility. The extractive monitoring system extracts air from the tunnel through an intake system and feeds it into the visibility sensor and gas analyser. The electrochemical CO gas analyser measures the concentration of CO gas in the inducted air and periodically performs an automatic calibration with zero and reference gas to ensure long term stability and accuracy. 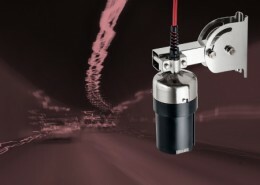 The visibility sensor measures the intensity of light scattered at an angle of 30° by the inducted air and sets it into relation with the light passing through. The scattered light intensity is then multiplied by a factor to obtain the extinction coefficient. The intake point is mounted on the tunnel wall in a height of approximately 1.5 m above the carriageway. It protects the intake system against foreign objects, spray and splash water. 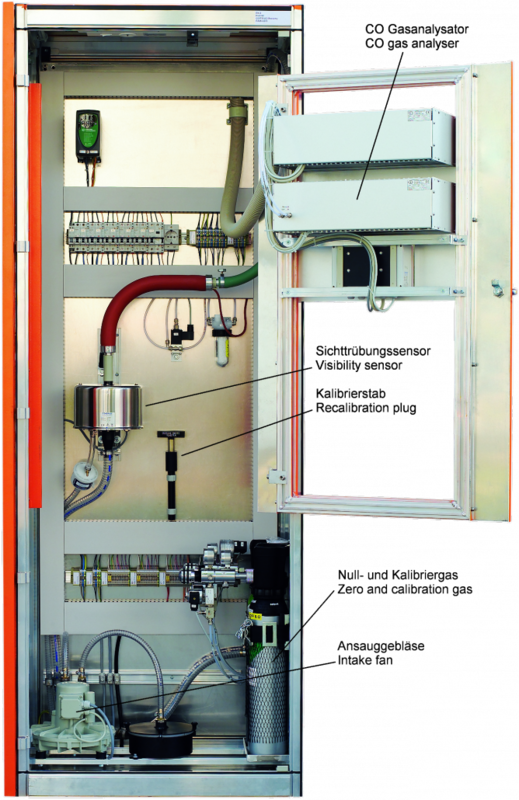 The enclosure located in a niche or operating accomodates the main system components. It is accessible at all times without the need to close the tunnel for traffic. 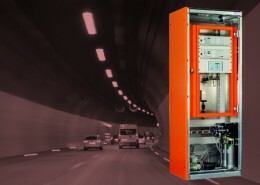 The connection to the tunnel control system can be established via analogue outputs and relay contacts or via field busses. Interfaces are implemented project specific. An extractive system can analyse air from up to 4 intake points. 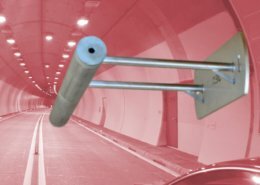 The intake tube connects the intake point with the monitoring system accomodated in an enclosure outside the tunnels driving area.